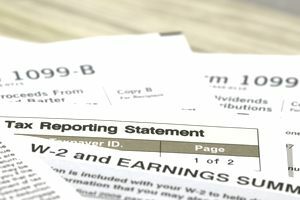 The Internal Revenue Service has announced that the filing deadline for W-2s and 1099-MISC forms, including the transmittal forms W-3 and 1096, is now January 31 of the following year. That's a month earlier than it used to be, and the deadline applies to both mailed forms and e-filed forms. The new date went into effect beginning with the 2016 tax year as part of an ongoing effort to help prevent tax fraud. The deadline for giving W-2's to employees hasn't changed. It's still January 31 of the following year. If you must file late, file as soon as possible to avoid additional fines and penalties. In addition to changes in the filing deadlines, the IRS has changed the regulations for applying for an extension for filing W-2 forms. The extension application is not guaranteed and you must provide a detailed explanation for the extension request. Requests must be submitted on IRS Form 8809 by the January 31 deadline. The extension is for 30 days. You don't have to include W-3 forms if you file W-2s online, but you might pay a penalty if you fail to file W-3 statements along with copies of employees' W-2s when you file by mail. Penalties can also be imposed for statements that are incomplete or inaccurate. You might avoid the penalties if you can show "reasonable cause" for your failure, but don't count on the SSA or IRS accepting your excuse. The penalties are higher if your failure is willful or if it can be proved that you intentionally disregarded the law. The penalty is $50 per statement. The penalty is at least $100 for each form, with no maximum, if your failure to file is deemed to be intentional. You can be liable for penalties if you fail to file Form W-3 with the SSA along with W-2s for all employees by the end of February for the preceding year. You can also be penalized if the forms are incorrect with errors or omissions. You can avoid penalties if you file in a timely manner, by the due date, and include all required information on the form. Make sure you file on the correct form, not a photocopy, and that you have correct Social Security or tax identification numbers for employees. Check the spelling of surnames and that any and all money amounts are correct. You must file electronically if you're submitting 250 or more W-2 forms. Penalties are smaller for "small businesses", those with $5 million or less in average annual gross receipts for the three most recent tax years. The amount of the penalty is based on when you file. It's $15 for returns correctly filed within 30 days of the due date. Using a payroll service provider does not relieve you of your responsibility to ensure that the W-2 forms are filed correctly and on time. If you fail to file a 1099-MISC form by the due date, the penalty is also based on how late it is. The penalty is $30 if you correctly file within 30 days, and it increases to $60 per return if you file more than 30 days late but by August 1. It's $100 per return if you file after August 1 or you don't file at all. You can also incur a separate penalty if you fail to provide 1099-MISC statements to payees on time. The amount is based on when you furnish the correct statement. Returns must be complete and correct to avoid penalties.